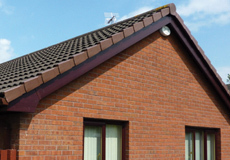 HHI have almost 30 years experience working with PVCu fascia and in that time have installed over 5 million metres of high quality roofline materials. 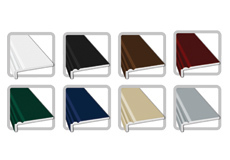 Ask about our unique Eaves Protection System (EPS) and our Extended Manufacturers Guarantee. All HHI products are completely lead-free. The PVCu skin is calcium zinc stabilised for superior weather ability and UV resistance enabling us to offer our unique guarantee. 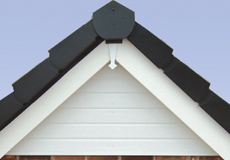 Proper installation of any roofline product is essential. To ensure against future rafter rot the existing felt must be checked for deterioration and a proper eaves protection system fitted whilst maintaining correct ventilation. This is why all our approved installers are properly trained and constantly monitored and why recommendation from existing customers is our biggest enquiry source. Quality installation and the best pvc products on the market combine to give you peace of mind and ensure we are the best value for money around. 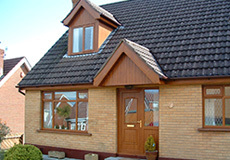 Complete your fascia installation with our unique dry verge system. This covers the ends of the tiles on the gable of the house and is especially useful where cement pointing is cracked or loose.